Hello everyone. I am Marianne from Nordic Bliss a Scandinavian girl living in the UK who loves Scandinavian style and is helping the Brits getting their hands on it as well through my little webshop. 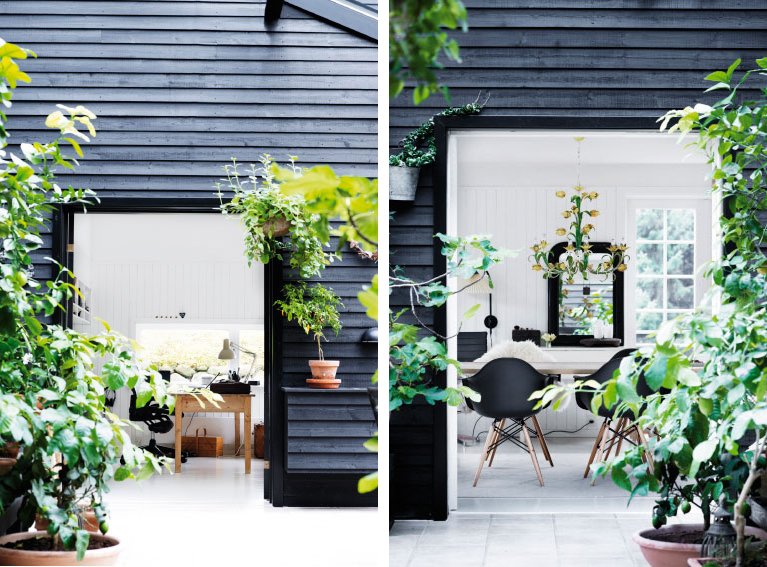 I loved the black exterior and patio with all the greenery. 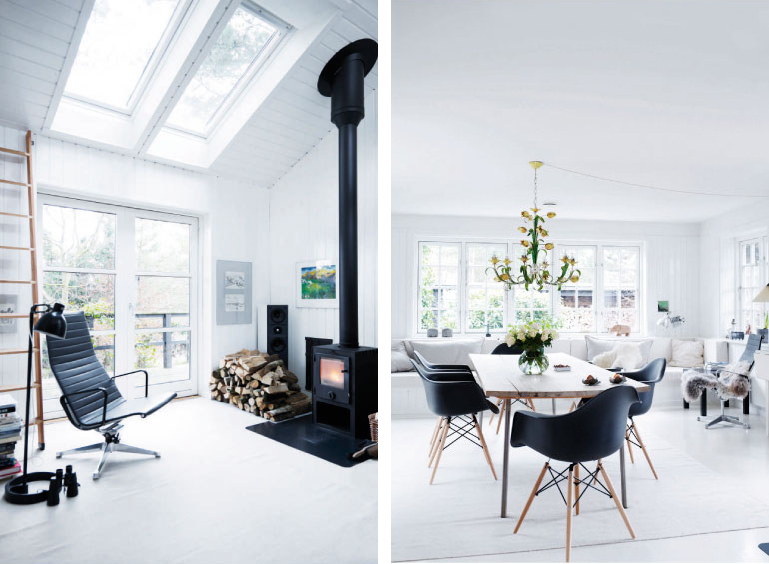 It is such an interesting contrast to the bright white interiors. I love how they mixed up the traditional country charm open shelves and white wood panelling on the wall with some stainless steel and metal accessories in the kitchen. This cosy corner in front of the window makes me long for a Easter holiday. When I was younger and lived in Denmark we would always spend Easter on the coast. Lazy days going for long walks on the beach and enjoying nature and a few rays of sunshine. So what did you think? 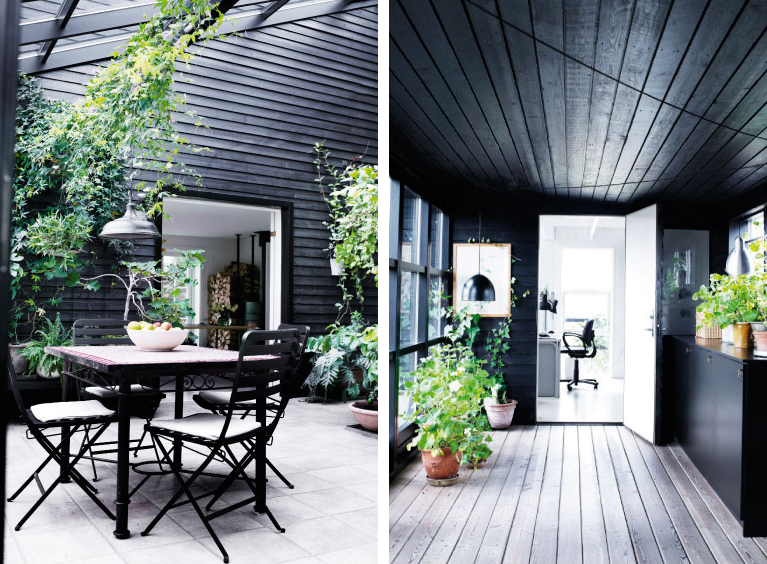 Is this home one of the most wonderful Danish homes you've seen? Would you like to live here? I hope you are all surviving the winter and I wish you a lovely week. Love all the greenery in the home! 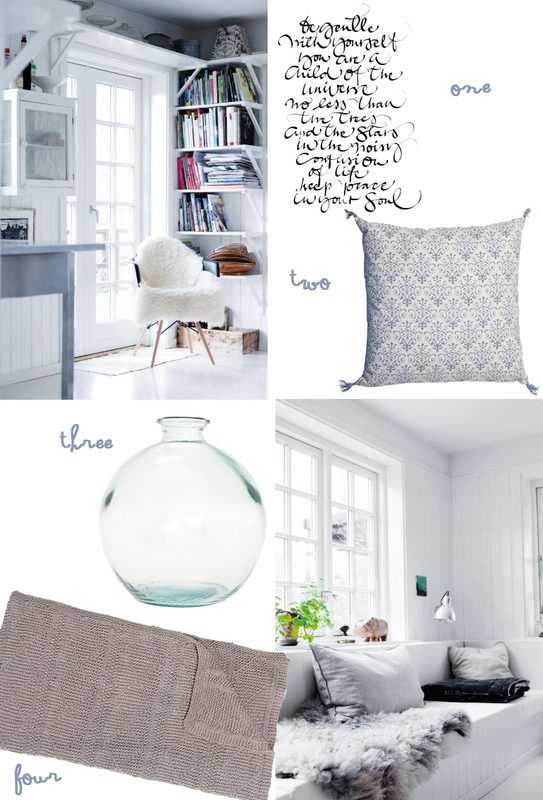 i've just checked out your webshop, it is sooo lovely!!! A lovely home! I can see why it was given the award. I particularly love the outdoor setting. Perhaps it is a conservatory..so will be sheltered all year round? 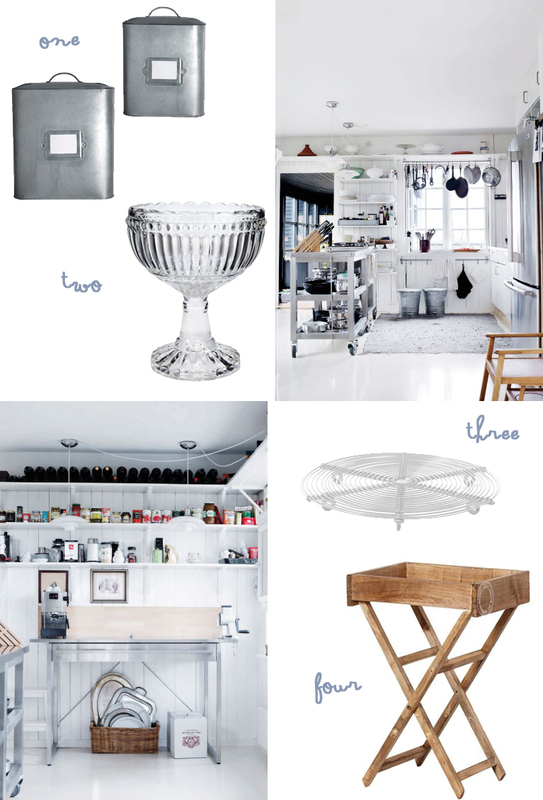 I'm in love with that kitchen - great combination of industrial and country!